Legends say that only divine beings have the power to move the mountain and God Hanuman was that divine being who lifted the mountain to save the life of God Rama’s brother Lakshmana. 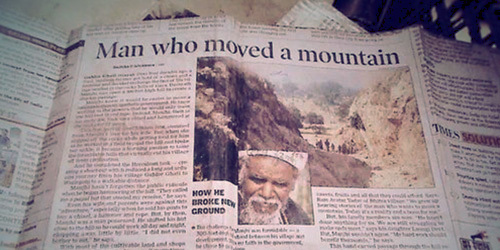 There was one more person who dared the mountain and he was Dashrath Manjhi. He didn’t have any divine powers, but possessed an indomitable spirit, courage, hope and persistence to break a mountain and make a path for people through a mountain. Can you imagine for how many days Dashrath Manjhi was working to complete this herculean task? He toiled, facing heartbreaking pains and worked for 22 years from 1960 to 1982. Isn’t that effort worth a applaud. With hammer and a chisel to support, he worked day and night with his bleeding hands, facing the tormenting sun rays, hard winds, heavy rainfall to show a way of progress in his uncivilized village which was deprived of all the essential facilities including electricity and medical help. A resident of Bihar, Dashrath Manjhi, a landless farmer led a happy life with his wife, Falguni Devi. But tragedy struck in 1959 as Falguni Devi died due to lack of medical care. The root of this tragedy was the Gehlour mountain and there was no closest road for people to get medical attention on time. One had to travel 70 kms to reach the nearest town and receive medical facilities. This obstacle of long path had claimed the lives of many villagers who were deprived of medical attention. No one took the plunge to overcome this adversity except Dashrath Manjhi. Devastated by his wife’s death, Manjhi decided to break the mountain and pavé a path so that the villagers could get medical help on time. The path was 360 foot long and 25 foot deep. It wasn’t a easy job for a human being to complete this herculean task. But the affection of his late wife gave him the strength to work day and night for heart breaking 22 years to make a path for the needy villagers. His dreams turned into reality. The distance of 70 kms was shortened to 1 km. People considered him a lunatic. But rarely did they realize that this lunatic man was working for their well-being. 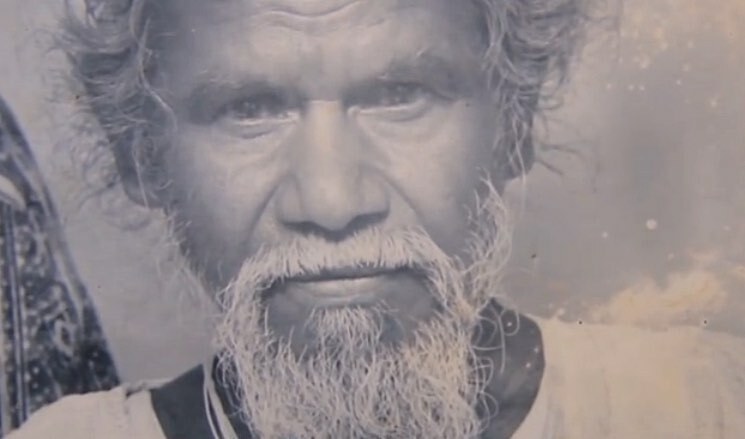 Very few people take the plunge to live for others and Dashrath Manjhi was one of them. I had read the story of Dashrath Manjhi in a news article and from that moment this story was on my wish list. Dashrath Manjhi was came to be known as Mountain Man by the nation. This great mountain man passed away in 2007 due to gall bladder cancer. His life is the subject of upcoming motion picture – The mountain man directed by Ketan Mehta featuring Nawazudin Siddiqui in the title role. Through this article, I have taken a small effort to showcase the life of Dashrath Manjhi and his efforts to crumble down a mountain to pavé a path of welfare for the people. Hope this inspiring article on mountain man will definitely motivate you to meet your goals. Very nice. Honestly, before reading this article I never knew about this Dashrath Manjhi. Truely a legend!! Thank you for your excellent writing. Will also look forward for the movie. That was a person who we need he is determined to get what he want he doesnt mind in wat circumstances dat was really cool.